Those in the talent attraction business – and who isn’t these days – probably know about the H-1B visa program and the cap challenges that come with it. Less well known in general, but surging in popularity among foreign students, is the Optional Practice Training (OPT) program. OPT allows foreign graduates to seek temporary work anywhere in the country that is directly related to their field of study. According to the State Science & Technology Institute, foreign STEM graduates participating in OPT grew by 400% from 2008 to 2016. In recent years, OPT approvals outpaced H-1B visas. The leading regions retaining foreign students graduating from local colleges are New York (85%), Seattle (84%) and Honolulu (83%). The metro areas with the largest share of foreign graduates coming from other metros are San Jose (71%), Kansas City (69%) and Peoria, Illinois (66%). An in-depth story from the Pew Research Center explains it all. Below are a few excerpts. More than half (53%) of the foreign graduates approved for employment specialized in science, technology, engineering and mathematics (STEM) fields, according to a Pew Research Center analysis of U.S. Immigration and Customs Enforcement (ICE) data. Foreign students obtaining authorization to remain and work in the U.S. after graduation come from all corners of the globe, but the majority of them hold citizenship in Asia. Students from India, China and South Korea made up 57% of all OPT participants between 2004 and 2016. While both programs give foreign workers temporary employment authorization in the U.S., they are different in a number of ways. For instance, only foreign students on an F-1 visa with a higher education degree from a U.S. college or university are eligible for the OPT program, whereas any foreign worker with a degree that is equivalent to a U.S. bachelor’s degree or higher is permitted to apply for the H-1B visa. Also, unlike the H-1B visa program, which imposes an annual cap of 65,000 visas to private companies sponsoring foreign workers, there is no cap on the number of approvals available under the OPT program; all F-1 visa holders are eligible to apply. 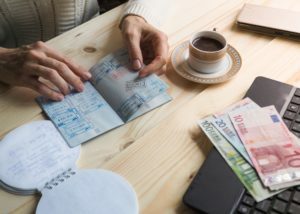 Furthermore, foreign students do not require employer sponsorship to apply for OPT, while the H-1B visa program requires employers to directly sponsor the foreign workers they intend to hire. This entry was posted in Business News, Economic Development, Education, Technology and tagged F-1 visa, foreign graduates, H-1B visa, OPT program, Pew Research Center, STEM, Tech Talk, Technology, visa by Bill Waltz. Bookmark the permalink.